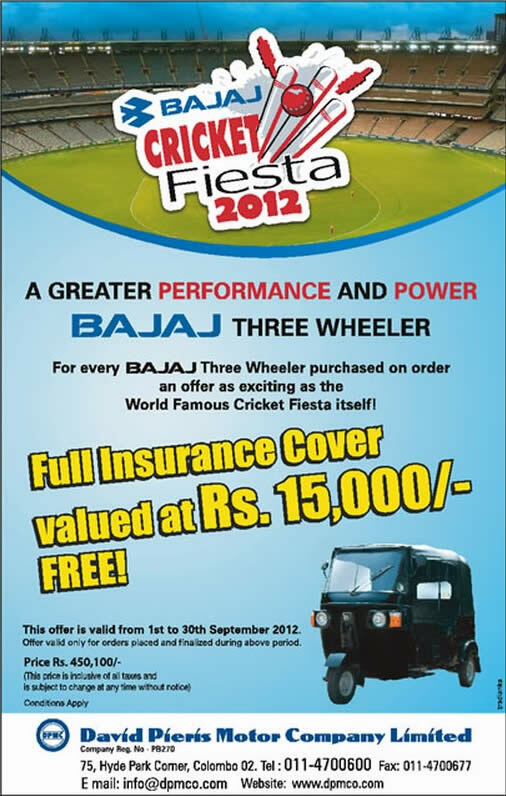 The David Pieris Motor Company Limited made a new offer for Bajaj Thee Wheelers for Rs. 450,100.00 with All Inclusive. 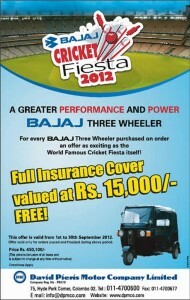 The offer carried you Full Insurance cover worth of Rs. 15,000.00 FREE in this ICC Twenty 20 Cricket Season. Visit DPMC and order your three wheeler and enjoy your fuel efficiency. The Prices are valid till 30th September 2012 and Conditions applies.